The legendary Miami Pro-Am is back for its 20th Anniversary! 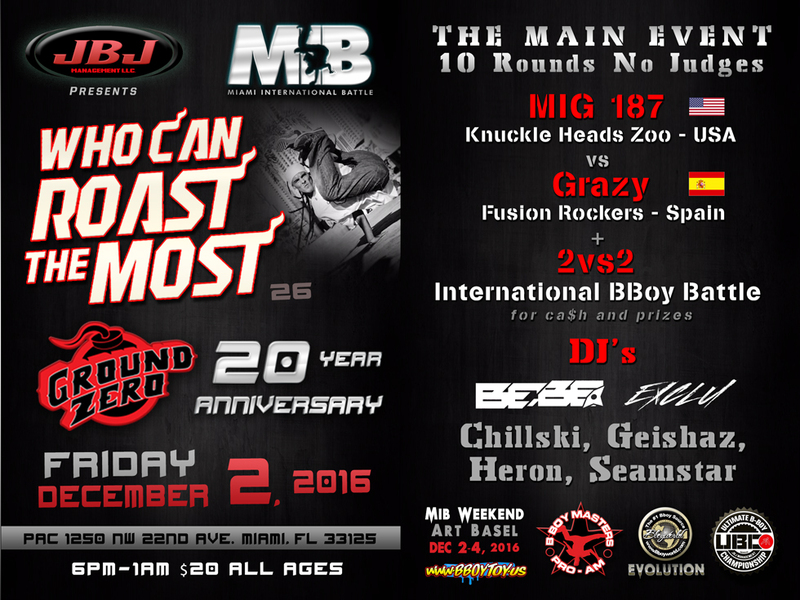 Speedy Legs & DJ Trails have teamed up with Bboy World, Ground Zero Crew and JBJ to bring you the Miami International Battle.. 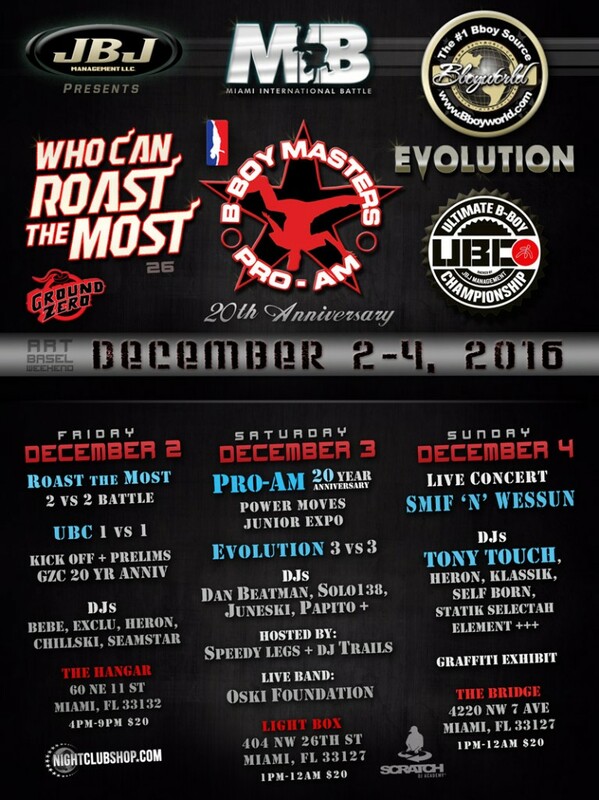 The event was held in the Wynwood, Miami area and brought back the energy of the original Bboy Masters Pro-Am reminiscent of the 90′s. Besides DJing and promoting Bboy events, DJ Trails is now an acupuncturist and is practicing acupuncture in Coral Springs, Tamarac, Parkland and Coconut Creek.